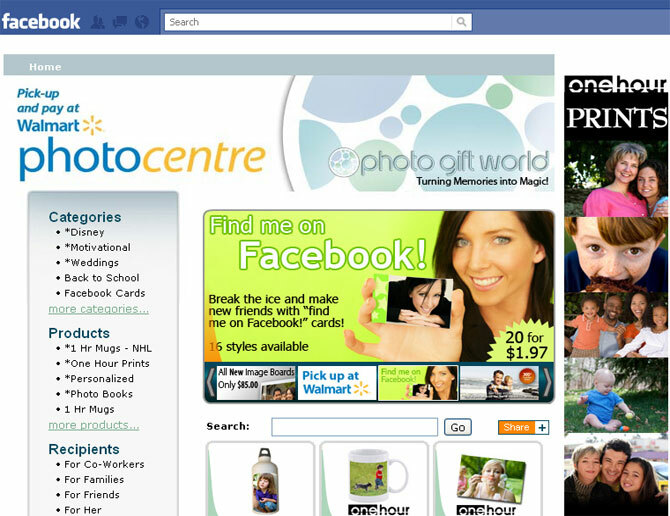 ShiftUP Consulting built a facebook application for Photo Gift World in a distribution/payment partnership with Walmart Canada. The application takes facebook photos and puts them onto photo gift items. Development of the project started as a facebook shopping cart that would store orders in a database and also forward them into Photo Gift World's product creation system. It has progressed over the years to include the ability to send virtual photo gift items to friends, produce one hour prints and mugs at all 300+ Walmart stores, support text only items, allow for user photo uploads directly and myriad other enhancements.